Hossein Nahavandchi is a professor of geodesy. His research interest is Earth monitoring/climate change using satellite (Gravimetry/Altimetry/GPS) data. Biography: Hossein Nahavandchi holds a PhD degree (1998) from Royal Institute of Technology in Stockholm. His primary research interest is satellite Gravimetry, Altimetry and GPS. He has been lecturing in the Geomatics and Geodesy fields since 1990. Hossein’s career includes being a member of staff at Isfahan University (as Senior Lecturer and Head of Department), Royal Institute of Technology in Stockholm (as Research Associate), Tehran University (as Assistant Professor), and Norwegian University of Science and Technology (as Associate Professor and Professor). He also worked for Iranian National Mapping Authority and National Cartographic Center (NCC) in several functions. He has been Vice-Dean, Dean, and the Rector of the College of Engineering, Division Director, Chair of the Borad and Board member of Research and Planning Division, and Education Department in Iran. His research projects and other activities in Civil Engineering have attracted more than 120 million NOK to the university sector since 1991. They have also resulted in a strong international network. Over 155 publications and presentations are the results of his research projects. Groundwater is a strategic reservoir and its shortage will cause the next global crisis. Water resource issues are often very complex and frequently require large amounts of diverse data. Collection of data by traditional means (e.g. fieldwork) can be quite difficult at times, especially in remote areas, as well as costly and resource intensive. The Gravity Recovery and Climate Experiment (GRACE) satellite gravity data can be very useful providing a cost-effective means of replacing or complimenting field data collection. GRACE satellites measure monthly changes in total terrestrial water storage by converting observed gravity anomalies into changes of equivalent water height. We use this methodology to process GRACE satellite-to-satellite tracking data to estimate groundwater depletion in the Middle East and a developed methodology to use GRACE data with enhanced spatial scale over Iran’s water basins. We remove leakage-in mass signals of the Caspian Sea and adding back the ocean model contribution that had apparently introduced a spurious positive trend over the Black Sea. To isolate the groundwater contributions, we develop a local hydrological model including soil moisture, snow, canopy, and river storage and subtract it from the GRACE total water storage results. Land subsidence due to the overdrafting of groundwater resources for industrial and agricultural purposes is a geological hazard that affects many urban and agricultural areas in the world. Several environmental effects and consequences are associated with land subsidence including damage to infrastructures and buildings, increased risk of flooding in coastal areas and accelerated erosion along Earth fissures and drainage systems. Monitoring the spatial extent and temporal evolution of surface deformation associated with fluid withdrawal is critical to mitigate hazards associated with this phenomenon. Among ground and space-based geodetic methods used for measuring land subsidence, space-borne InSAR enables a unique imaging capability for the assessment of subsidence in response to fluid extraction from subsurface reservoirs. Using SAR data from the ENVISAT, ALOS and Sentinel-1 satellites, we analyzed nearly a decade of land subsidence in the Rafsanjan region in Iran. An InSAR time-series analysis showed a persistent pattern of subsidence, with peak values found west of the city of Rafsanjan. Average velocity maps derived from (a) ENVISAT descending, (b) ENVISAT ascending, (c) ALOS, (d) Sentinel-1 ascending, and (e) Sentinel-1 descending. The observation periods corresponding to the velocity maps are shown in (f). We have also worked on large-scale national high-quality SAR monitoring of Norway. As an example, an interferogram over Norway has been shown in Figure below. We are working with ionospheric and tropospheric corrections. Standard methodology of the SAR and InSAR technique in displacement mapping has been improved. We implemented a polarimetric optimization approach on Sentinel-1 dual-polarization (VV–VH) images to improve the standard persistent scatterer interferometric synthetic aperture radar (PS-InSAR) method. Combining persistent scatterers (PS) and distributed scatterers (DS) is important for effective displacement monitoring using time-series of SAR data. However, for large stacks of SAR data, the DS analysis using existing standard algorithms becomes a time-consuming process. SqueeSAR is an approach for extracting signals from DS. We optimized this technique and evaluated the performance of our approach on 50 Sentinel-1 images acquired over Trondheim in Norway. We have made the SqueeSAR selection algorithm 98% more efficient and more robust in the case of few images. We implemented our approach in the StaMPS/MTI processing chain to deliver a time-series of combined PS and DS more efficiently than the existing StaMPS/MTI combined algorithm. Quantifying water vapor, a major greenhouse gas of the atmosphere, is necessary for the climate and meteorological applications. Global Navigation Satellite System (GNSS) signals are promising measuring tools for monitoring water vapor content, but the use of GNSS products for estimating climatic trend requires homogeneity assessment in order to increase reliability and accuracy of the results. We have developed a data homogenization method based on singular spectrum analysis as a subspace-based technique. The ERA-Interim simulated data has been selected as the reference dataset. After homogenization, we used Principle Component Analysis (PCA) method to extract climate signals. We employed our developed technique over 214 permanent GNSS stations over Germany between 2010 and 2016 (7 years). Left: A component of homogenized GNSS-derived dataset reflecting the overall classification of the climate in Germany. Right:  The climatic divisions based on Köppen Climate Classification system. The Gravity Recovery and Climate Experiment (GRACE) satellite mission provides temporal variations of Earth gravity field with a period of around one month. GRACE measures changes in Earth&apos;s gravity field caused by regional shifts in the Earth&apos;s mass, including ice sheets, oceans and Water stored in the soil and in underground aquifers. We used GRACE data to estimate the rate of ice mass variability over Greenland. The Figure below shows monthly ice mass changes summed over the entire Greenland ice sheet, between April 2002 and February 2010, estimated in Gigatonne grom three GRACE data sets released by GFZ (Potsdam), JPL(California) and CSR (Texas). Note that this plot shows deviation from the average ice mass over the 2002 to 2010 period. It does not mean that the ice sheet was gaining ice before 2006 but that ice mass was over the 2002 to 2010 average. The ice mass was below the 2002 to 2010 average after 2006. The trend of the best fitting straight line for CSR data is -163 ± 20 Gigatonne per year. The results also indicate the the ice-mass loss rate has been increasing in the time period between 2002 and 2010. The Ocean plays a key role in determining the global climate. To develop techniques for pridicting furure climate, one must undrestand the dynamics of the global ocean circulation. A viable approach to observing the global and regional ocean circulations with sufficient resolution is the use of a satellite radar altimeter to measure the Mean Sea Surface (MSS) height. Multiple radar altimetry data from ESA satellites of ENVISAT, ERS-1 and ERS-2 and NASA satellite of GFO were used to determine the NTNU MSS model. NTNU MSS model is used to derive the mean dynamic topography and the ocesn circulation as it is shown in the Figure below. This plot shows the surface currents system in the North Atlantic and the Arctic sea for the time period 1993-2007. Flow of warm water is shown as red arrow and cold water as blue arrow. The Northward flow of warm water in the North Atlantic is partly balanced by southward flow of clod water in the East Greenland. Note that the detalied surface currents are not shown in this picture. Shamshiri, Roghayeh; Nahavandchi, Hossein; Motagh, Mahdi. (2018) Persistent Scatterer Analysis Using Dual-Polarization Sentinel-1 Data: Contribution From VH Channel. IEEE Journal of Selected Topics in Applied Earth Observations and Remote Sensing. vol. 11 (9). Shamshiri, Roghayeh; Nahavandchi, Hossein; Motagh, Mahdi; Andy, Hooper. (2018) Efficient Ground Surface Displacement Monitoring Using Sentinel-1 Data: Integrating Distributed Scatterers (DS) Identified Using Two-Sample t-Test with Persistent Scatterers (PS). Remote Sensing. vol. 10 (5). Motagh, Mahdi; Shamshiri, Roghayeh; Haghshenas, Mahmud; Wetzel, Hans-Ulrich; Akbari, Bahman; Nahavandchi, Hossein; Roessner, Sigrid; Arabi, Siavash. (2017) Quantifying groundwater exploitation induced subsidence in the Rafsanjan plain, southeastern Iran, using InSAR time-series and in situ measurements. Engineering Geology. vol. 218. Nahavandchi, Hossein; Haakonsen, Trond Arve; Aas, Håvard. (2017) Accuracy investigation of UAV Photomapping. Kart og Plan. vol. 77 (3). Shamshiri, Roghayeh; Nahavandchi, Hossein; Joodaki, Gholamreza. (2017) Seasonal variation analysis of Greenland ice mass time-series. Acta Geodaetica et Geophysica Hungarica. vol. 53 (1). Shamshiri, Roghayeh; Nahavandchi, Hossein; Motagh, Mahdi. (2016) Deformation analysis of the Trondheim city from SAR Interferometry. ESA SP. Shamshiri, Roghayeh; Nahavandchi, Hossein; Motagh, Mahdi; Haghshenas, Mahmud. (2016) Multi-sensor InSAR analysis of surface displacement over coastal urban city of Trondheim. Procedia Computer Science. vol. 100. Nahavandchi, Hossein; Joodaki, Gholamreza; Schwartz, Vegar. (2015) GRACE-derived ice-mass loss spread over Greenland. Journal of Geodetic Science. vol. 5 (1). Joodaki, Gholamreza; Nahavandchi, Hossein; Cheng, Kevin. (2013) Ocean Wave Measurement Using GPS Buoys. Journal of Geodetic Science. vol. 3 (3). Joodaki, Gholamreza; Nahavandchi, Hossein; Ghazavi, Kourosh. (2013) Steric sea level changes from ENVISAT and GRACE in the Nordic Seas. ESA SP. Nahavandchi, Hossein; Skjeset, Lars. (2013) Geoid-type surface determination using a gravimetric quasigeoid model and GNSS/leveling data- A case study in eastern Norway. Kart og Plan. vol. 73. Joodaki, Gholamreza; Nahavandchi, Hossein. 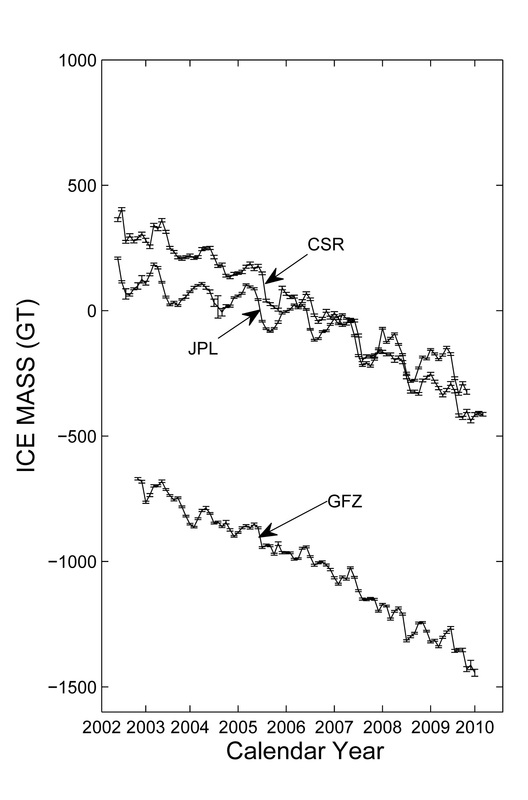 (2012) Mass balance and mass loss acceleration of the Greenland ice sheet (2002 – 2011) from GRACE gravity data. Journal of Geodetic Science. vol. 2 (2). Joodaki, Gholamreza; Nahavandchi, Hossein. (2012) Mass loss of the Greenland ice sheet from GRACE time-variable gravity measurements. Studia Geophysica et Geodaetica. vol. 56 (1). Nahavandchi, Hossein; Joodaki, Gholamreza. (2012) Greenland ice-melt spread into Northwest Coast revealed by GRACE (GRACE data viser at issmeltingen på Grønland sprer seg til nordvestkysten). Kart og Plan. vol. 72 (3). Nahavandchi, Hossein; Mahdavipour, Hossein. (2012) Sammenligning av geoidens høyde utledet fra geopotensialmodellen EGM2008 med GPS/nivellementsdata i et testområde i Iran (Comparison of geoid heights from the EGM2008 geopotential model and GPS/levelling data in a study area in Iran). Kart og Plan. vol. 72 (1). Ghazavi, Kourosh; Nahavandchi, Hossein. (2011) Mean Sea Surface and ocean circulation in North Atlantic and the Arctic Sea. Journal of Geodetic Science. vol. 1 (2). Joodaki, Gholamreza; Nahavandchi, Hossein. (2010) Greenland mass balance estimation from satellite gravity measurements. ESA SP. Nahavandchi, Hossein; Joodaki, Gholamreza. (2010) CORRELATION ANALYSIS OF MULTIPATH EFFECTS IN GPS-CODE AND CARRIER PHASE OBSERVATIONS. Survey Review. vol. 42 (316). Nahavandchi, Hossein; Soltanpour, Ali. (2008) Local ionospheric modelling of GPS code and carrier phase observations. Survey Review. vol. 40 (309). Omang, Ove Christian Dahl; Hunegnaw, Addisu; Solheim, Dag; Lysaker, Dagny; Ghazavi, Kourosh; Nahavandchi, Hossein. 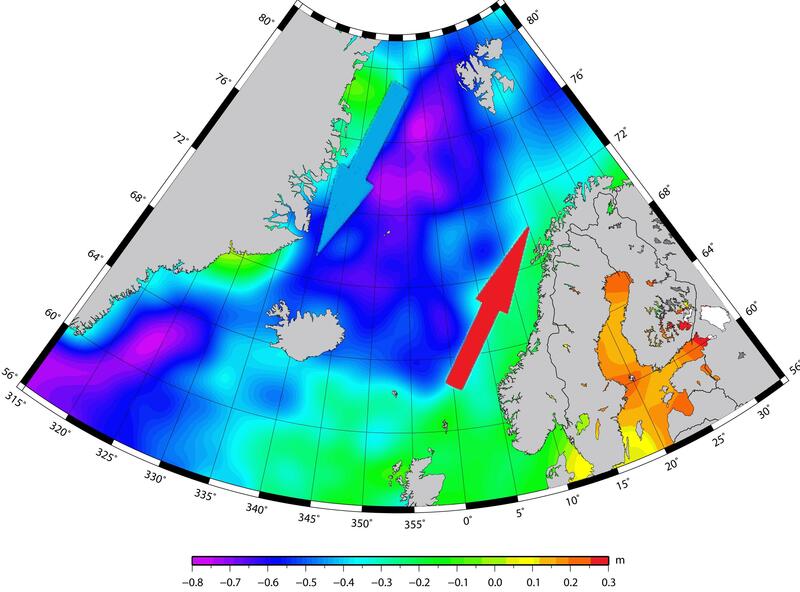 (2008) Updated OCTAS geoid in the northern North Atlantic - OCTAS07. International Association of Geodesy Symposia. vol. 133 (2).